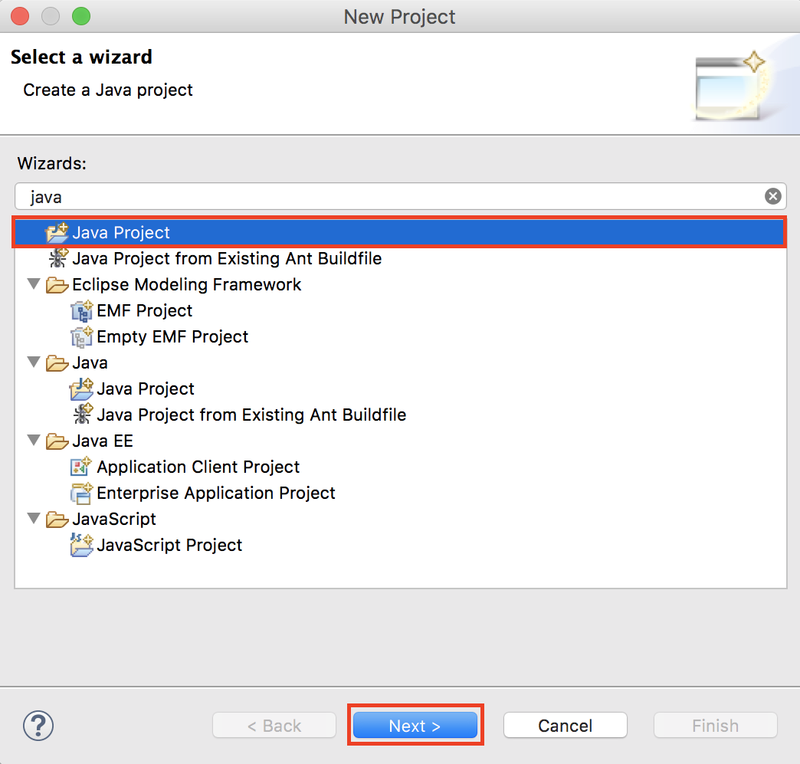 From the list of project wizards, select Java Project and click Next. 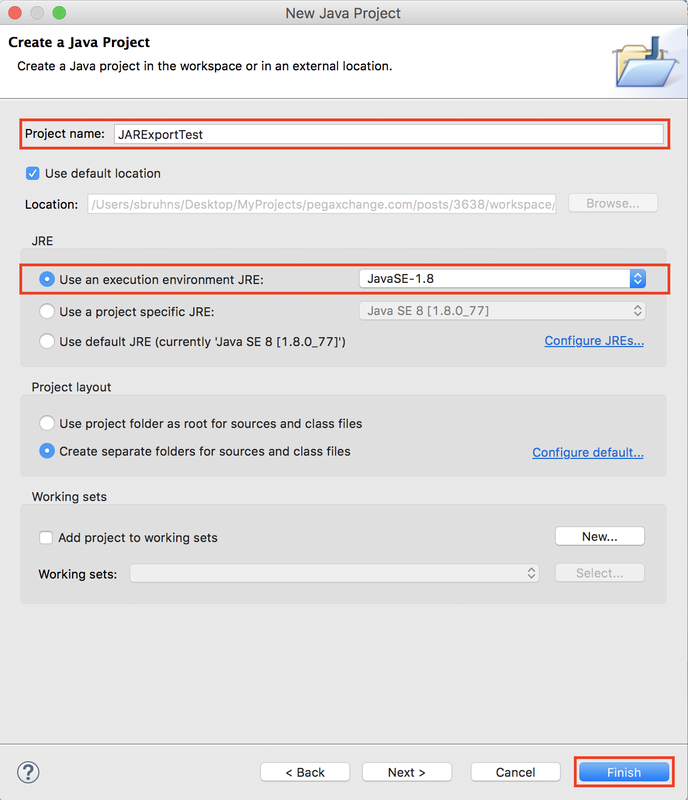 Enter the project name and set the Java Runtime Environment (JRE). Click on Finish to complete the project setup. 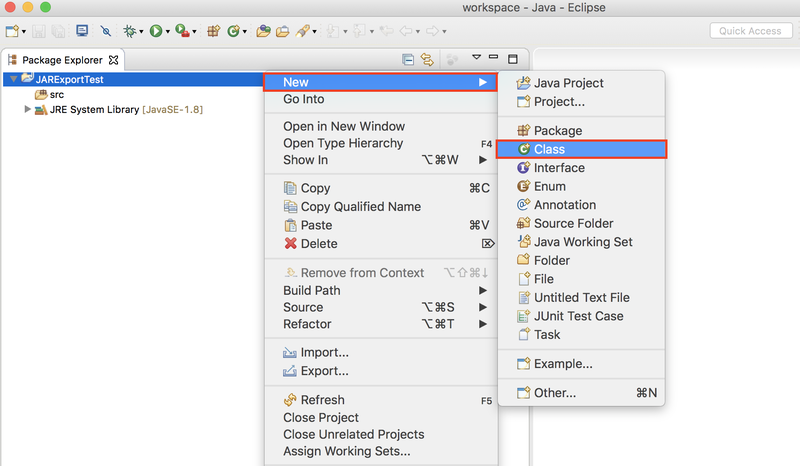 The first time a Java project is created in Eclipse, a dialog asks to open the Java perspective. 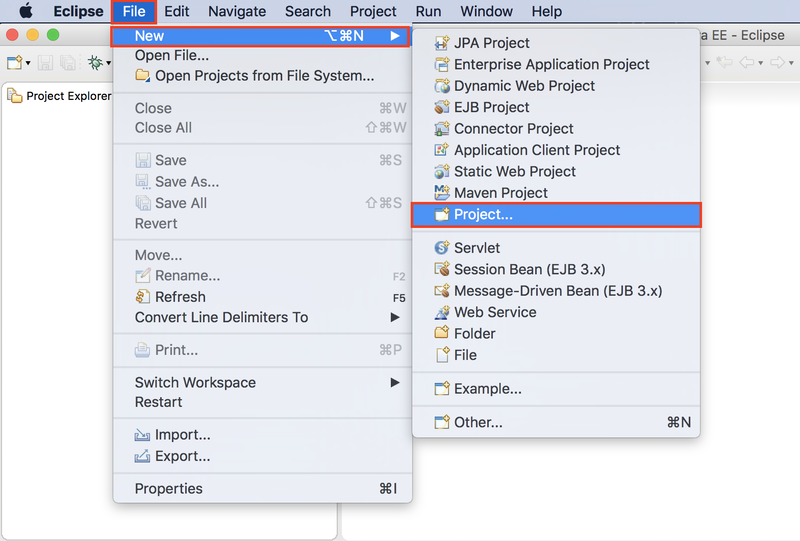 Click on Yes to continue and to open the project in the Java Perspective. 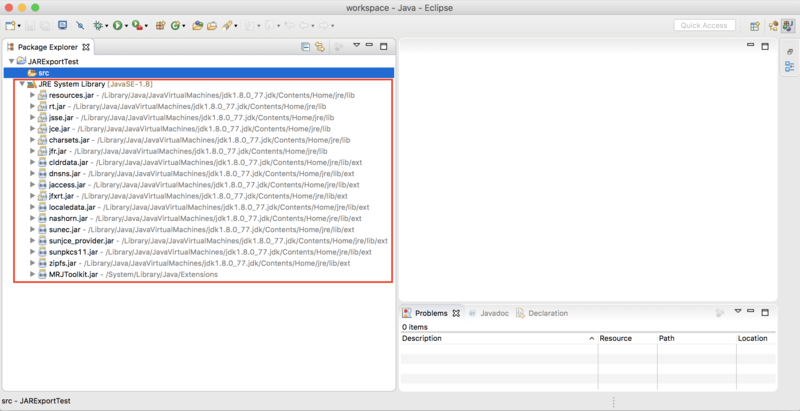 The Java project’s source files and libraries are shown in the Package Explorer on the left hand side. 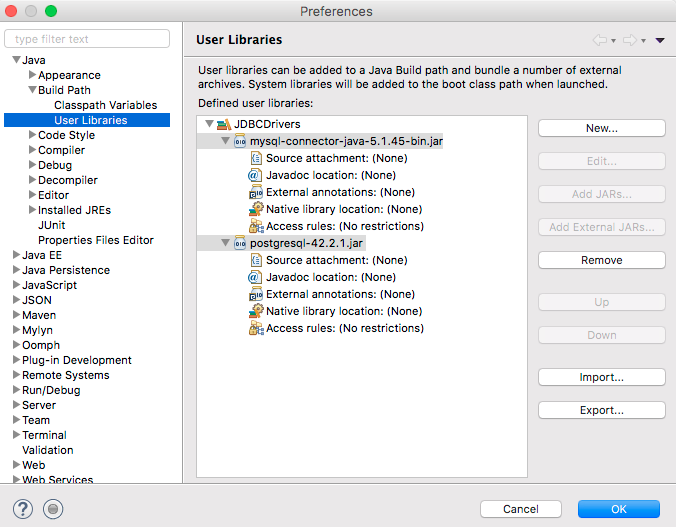 The Java Runtime Environment (JRE) system libraries are shown under the JRE System Library node. 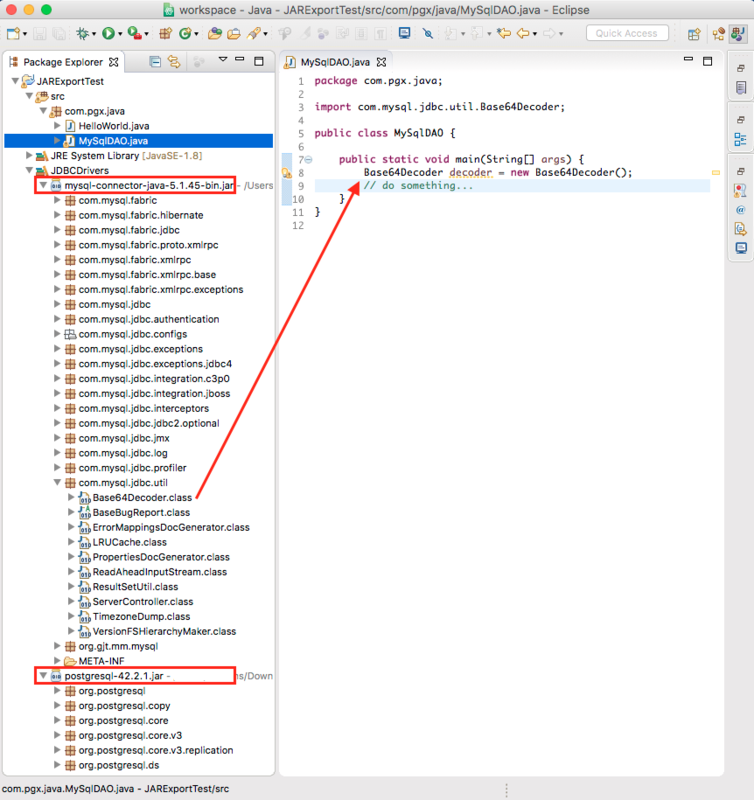 Right-click on the Java Project node and select New > Class. 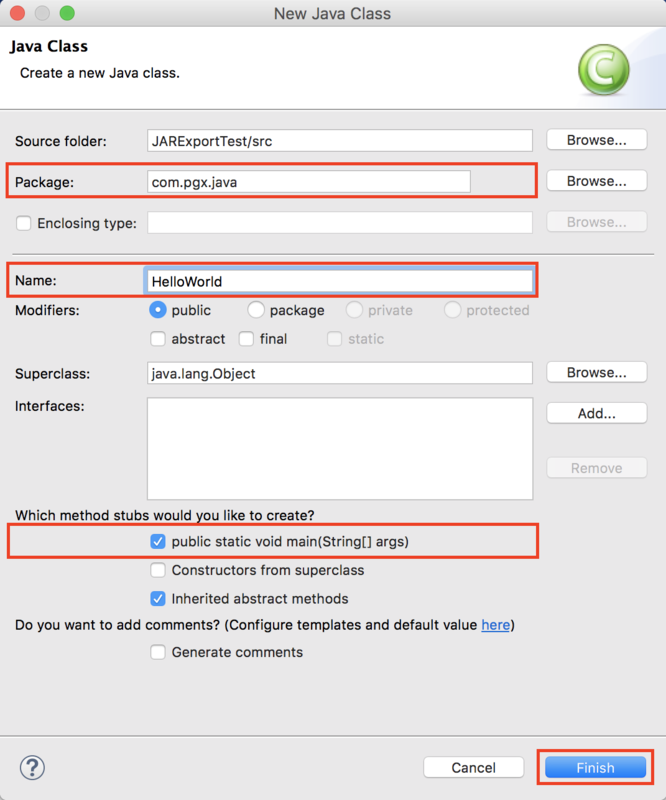 On the New Java Class form, enter a package and a name for the class. 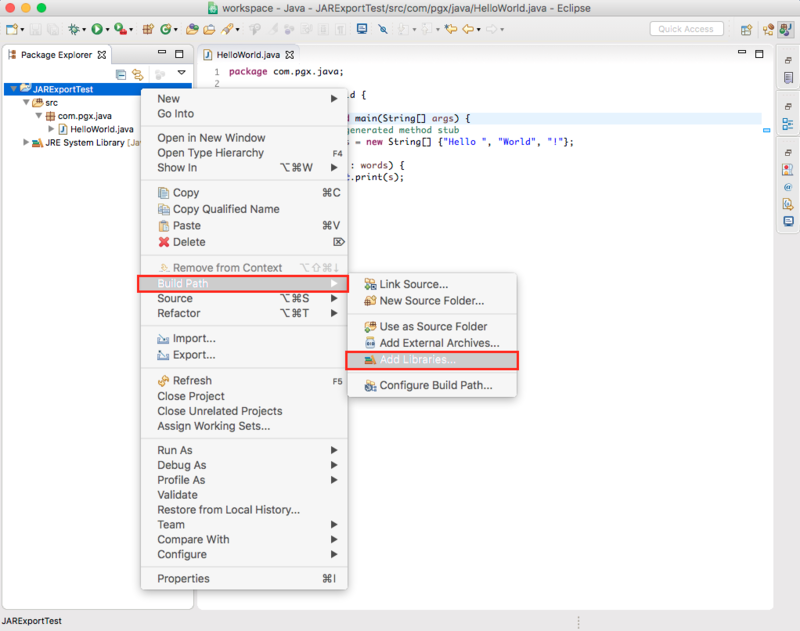 The form can be used to let Eclipse create method stubs automatically, here the main method stub. In the below example, code was added to iterate over a String array to print a message to the console. 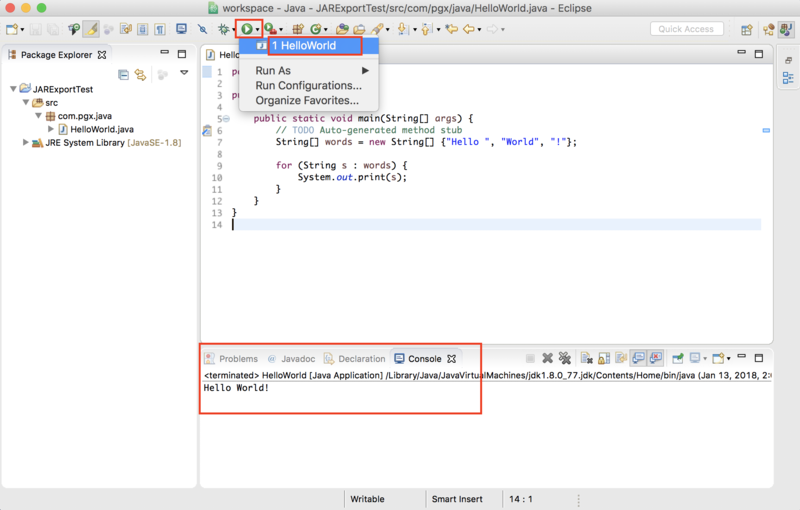 Run the class by clicking on the green Run icon in the tool bar and select HelloWorld. The output is shown in the Console section. 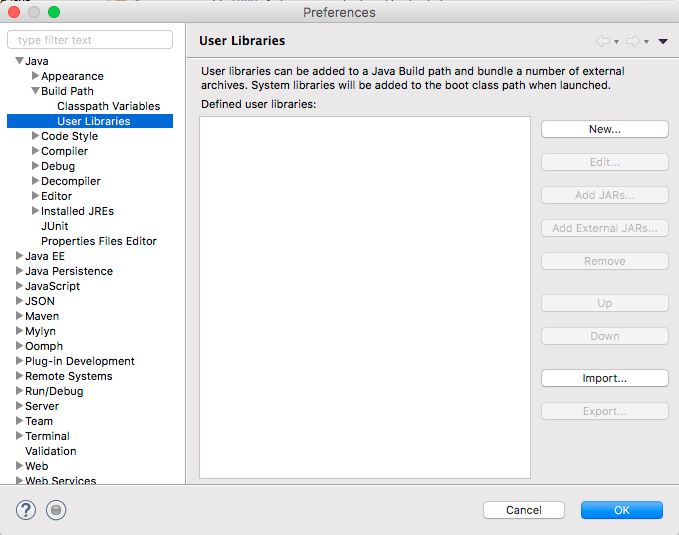 Open the Eclipse Neon preferences and select User Libraries under Java > Build Path. 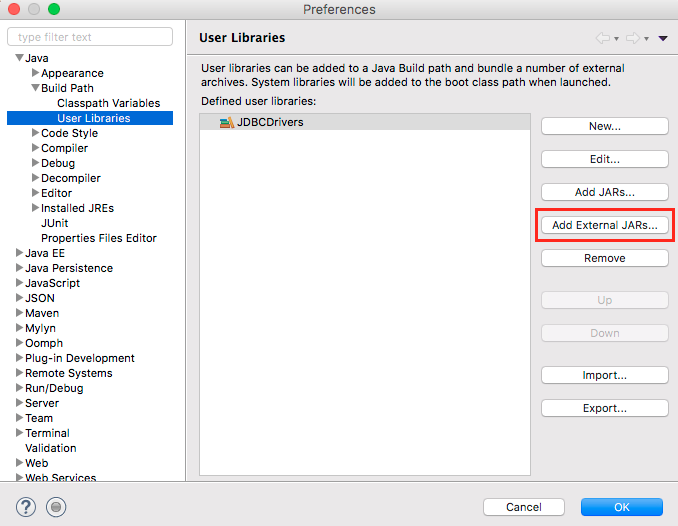 Click on the New… button to setup a new user library. 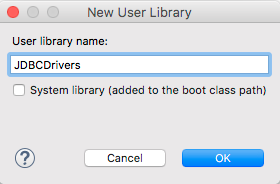 Enter a name for the new user library, here it is JDBCDrivers, and click on OK.
Click on the button Add External JARs and select the JAR files from the file system. Here, 2 JDBC driver JAR files are added to allow access to PostgreSQL and MySQL databases. Click OK to close the User Libraries form. Right-click on the project name in the Project Explorer and select Build Path > Add Libraries. 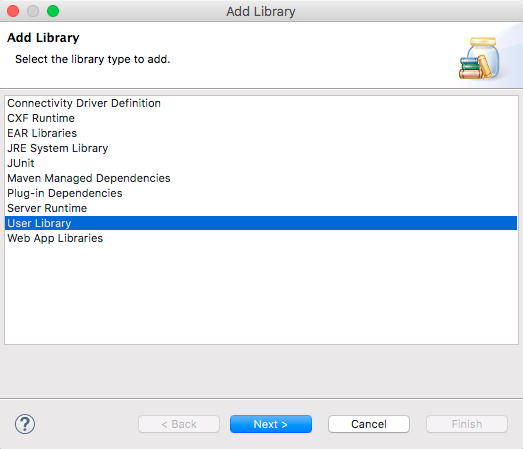 Select User Library and click on Next. Select the User Library to add and click on Finish. 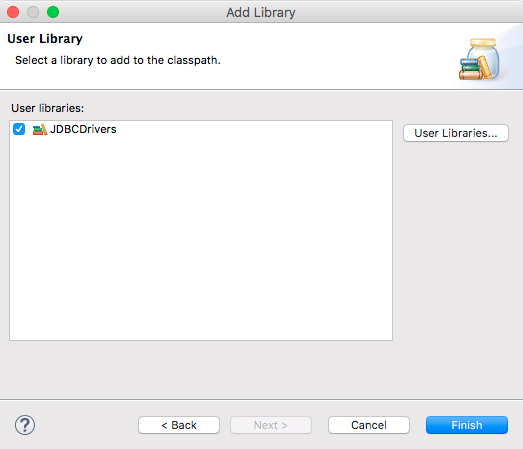 The JAR files of the selected user library are now available on the project’s class path and its classes can be used for development. The contents of the JAR files can be viewed in the Project Explorer by expanding the JAR nodes.